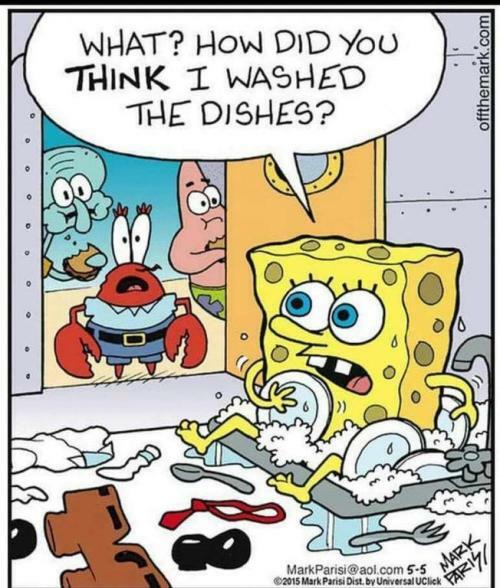 hahahaha, now you know to never eat at Bob's house. You might want to keep a eye out for strand hairs on the plates. That accounts for the kitchen sponge being the source of the most germs anywhere in the kitchen.